U.S. shareholders are putting pressure on major oil companies to divert money from exploration projects that could become worthless because of regulation. This proxy season institutional investors are pushing oil and gas companies harder than ever on climate change issues, including carbon asset risk, with mixed results from the industrys giants. Shareholders have filed 16 carbon asset riskrelated resolutions, which argue that oil companies should rein in spending on expensive and risky exploration projects  those in ultradeep water, the Arctic and Canadas oil sands  because those reserves could become worthless in a low-carbon world or during periods of low oil prices, as we have now. Investors in Europe have made headway on getting oil companies such as the U.K.s BP and Anglo-Dutch company Royal Dutch Shell to disclose the amount of their stranded assets, energy reserves whose value could drop because of environmental regulation. In the U.S. the fight has gone a bit farther. 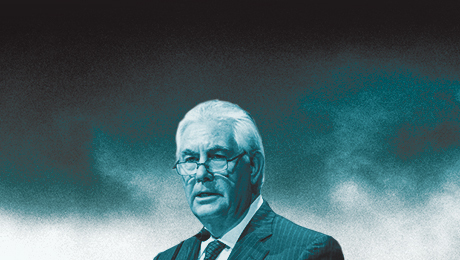 ExxonMobil and Chevron Corp. have fought groundbreaking proposals asking them to return money to shareholders, rather than spend it on such projects. Contradictory rulings have been issued by the Securities and Exchange Commission, which provides guidance to public companies seeking to keep shareholder resolutions off annual ballots. In March the regulatory agency blocked the Exxon proposal from going to a vote after clearing a similar resolution for Chevrons investors. The proposals, filed by Oakland, Californiabased nonprofit As You Sow and Arjuna Capital, the sustainable wealth management division of Marion, Massachusettsbased investment advisory firm Baldwin Brothers, were virtually identical, with the only difference being that the Chevron resolution asked for the money to be returned as dividends, whereas the Exxon proposal sought dividends and share buybacks. The issue will be voted on by shareholders at Chevrons annual meeting May 27. That disclosure has yet to come in the form of a detailed report to shareholders, says Danielle Fugere, president and chief counsel of As You Sow. Last year the organizations resolution calling for transparency on stranded assets was blocked after Chevron fought it and the SEC ruled in the oil companys favor. Theres information on their web site, but its just very general, and it doesnt answer any of the questions shareholders are asking them, she says. Arjuna Capital and As You Sow, via shareholder resolution, did succeed in getting a report on stranded assets from Exxon in 2014, but they were hardly happy with the results. Exxons report concluded, We are confident that none of our hydrocarbon reserves are now or will become stranded. This is why the Exxon and Chevron resolutions this year went farther than the more common demands for transparency and instead sought the return of investor cash. Moreover, Exxons 2014 report did not specify which global temperature rise scenario it used in its analysis, says Shanna Cleveland, senior manager on the Carbon Asset Risk Initiative at Ceres, a Boston-based nonprofit that focuses on sustainability issues. After being pressed, Exxon did acknowledge that one of its scenarios could be compatible with an average global surface temperature rise of 4.5 degrees Celsius (8.1 degrees Fahrenheit) over a time frame to 2050, Cleveland says. A spike of that magnitude is widely considered catastrophic for the planet. Holding the increase to 2 degrees Celsius over the preindustrial average has long been considered the goal for avoiding dangerous climate change, though now many scientists question even a 2-degrees-Celsius scenario. None of the oil companies have done the analysis as to how their assets would fair under a 2-degrees scenario, Cleveland says. 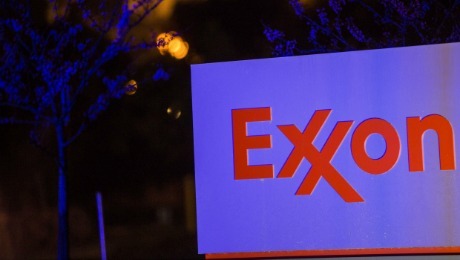 An Exxon spokesman told Institutional Investor to read the annual reports on Exxons efforts to limit greenhouse gas emissions and on distribution of reserves. Meanwhile, the boards at BP, Shell and Norways Statoil have supported shareholder resolutions calling for increased disclosure on how climate change might affect their future business. Thanks in large part to an endorsement from the board, the resolution at BP garnered near-unanimous support, with 98 percent of the shareholder votes at the April 16 annual meeting cast in favor. Landslide votes are also expected at Shell and Statoil meetings, both on May 19. Thats a step forward, says Vermont state treasurer Beth Pearce, whose office administers the investment strategies adopted by the Vermont Pension Investment Committee and was a co-signer of the BP and Exxon resolutions. 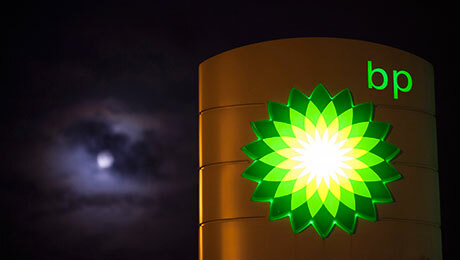 There are many more steps yet to come, but companies do transform themselves. U.K. newspaper the Guardian, however, reported April 28 that the shareholder resolutions at BP, Shell and Statoil may have been contrived for presentational effect. The number of shareholder proposals on social and environmental issues has climbed steadily in recent years, with a big jump between 2013 and 2014, according to the Proxy Preview 2015 , an annual report by As You Sow; Washington nonprofit Sustainable Investments Institute; and Proxy Impact, a Bay Area proxy voting service for environmentally minded investors. This season, 76 climate-related proposals  demanding action or transparency on low-carbon strategies, greenhouse gas emissions, political spending and lobbying and climate risk  had been filed prior to the reports March release. In 2014 the final tally for climate change-related proposals came to 73. It is a trend that looks poised to continue. Although some argue that divestiture is the best, or only, way to effect real change, investors who believe in the seat at the table strategy appear committed to carrying on, despite painfully slow progress and often disappointing results.